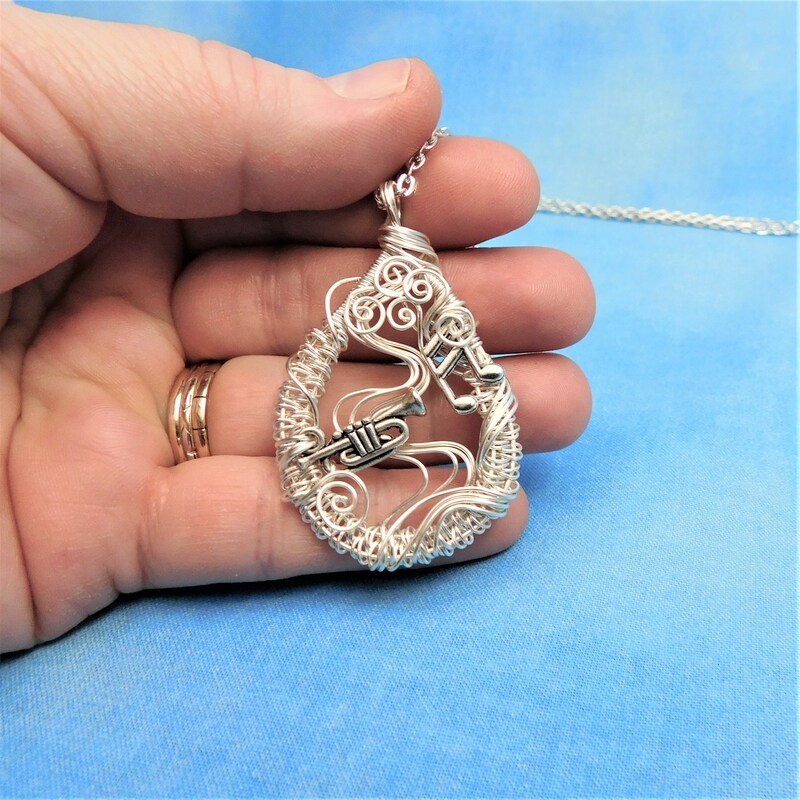 Non tarnish fine silver over copper wire is off-loom hand woven and sculpted to create a 1 1/2 inch by 1 1/4 inch frame for an antique silver patina trumpet. 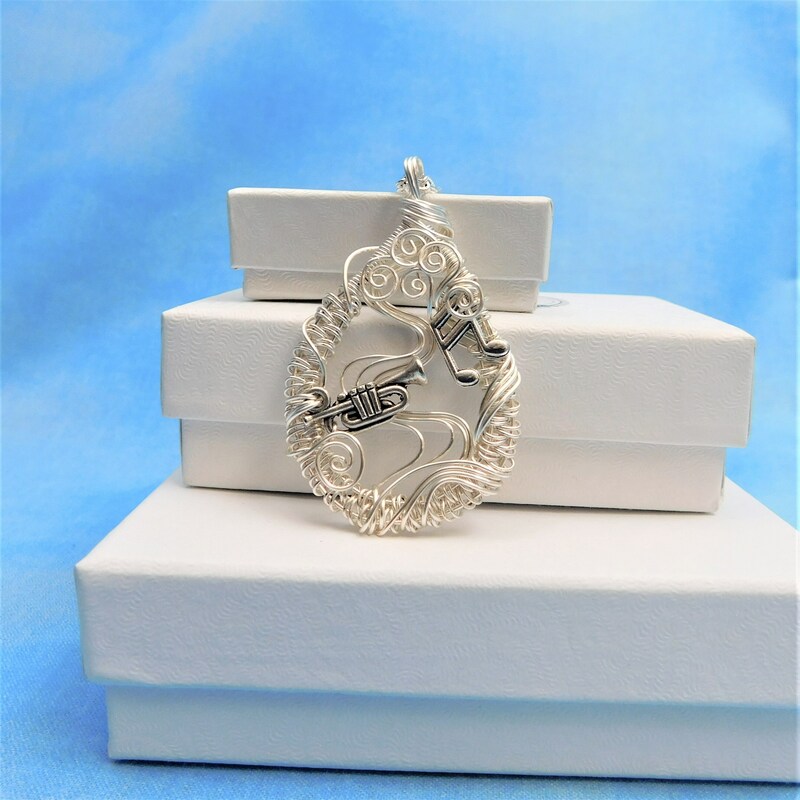 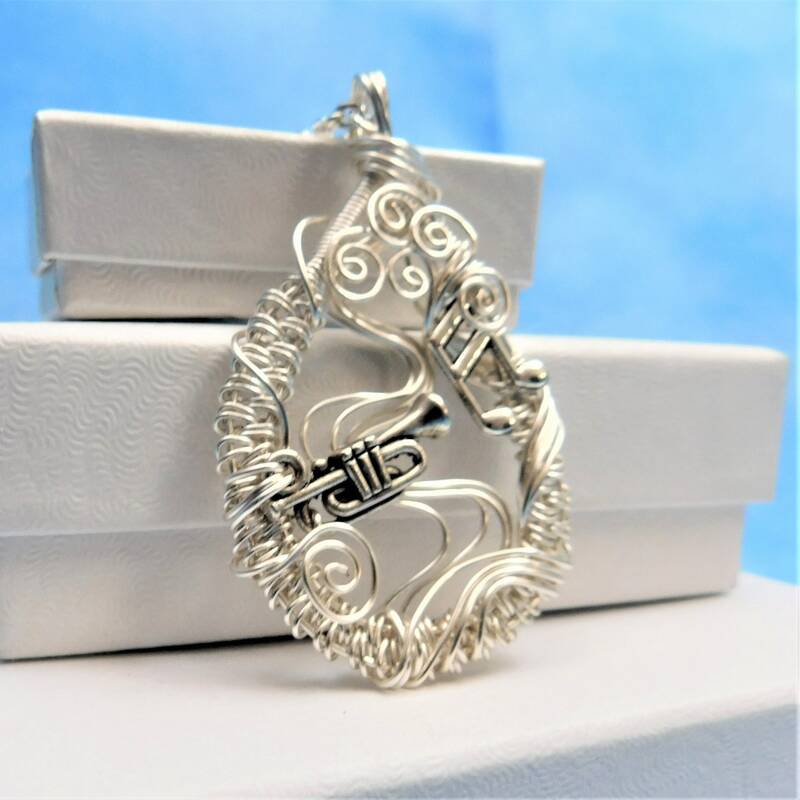 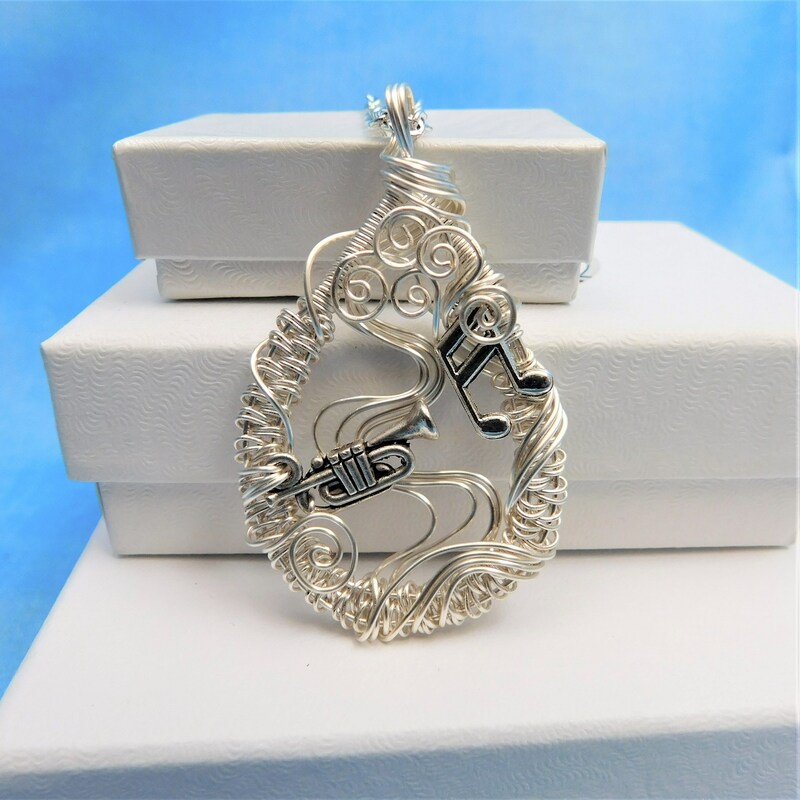 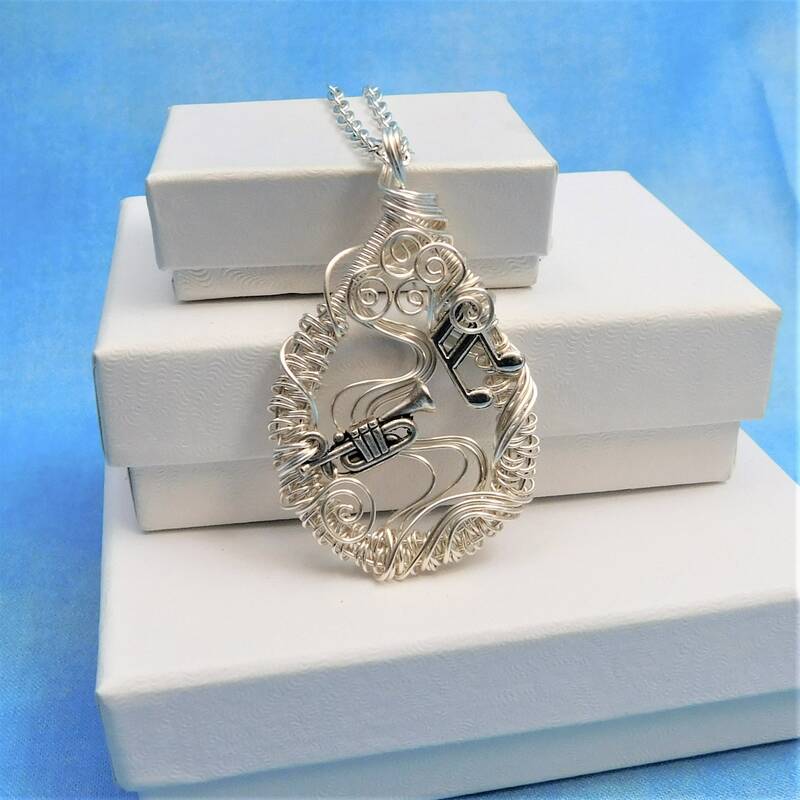 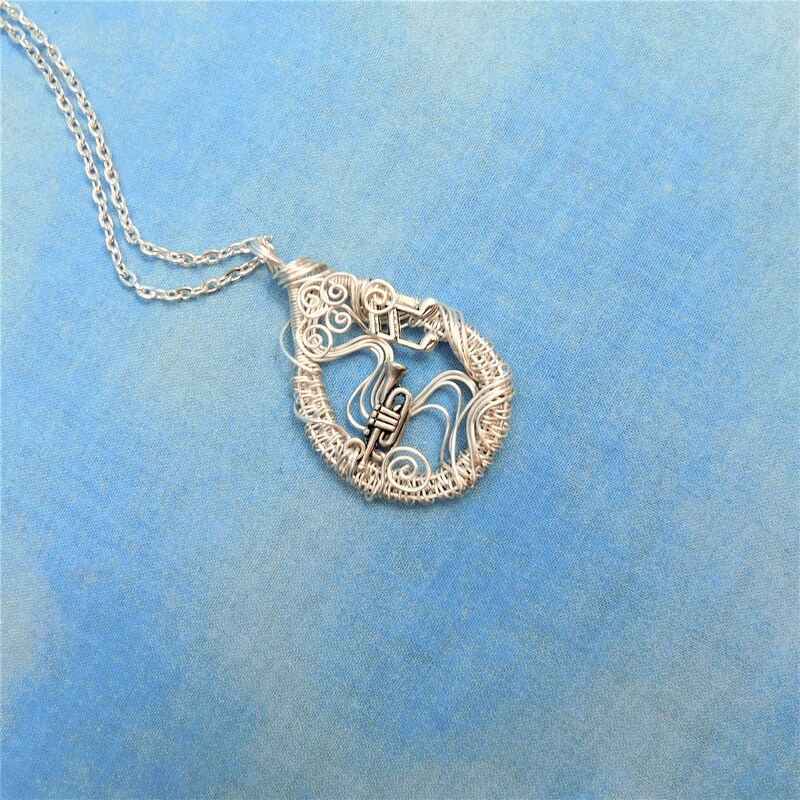 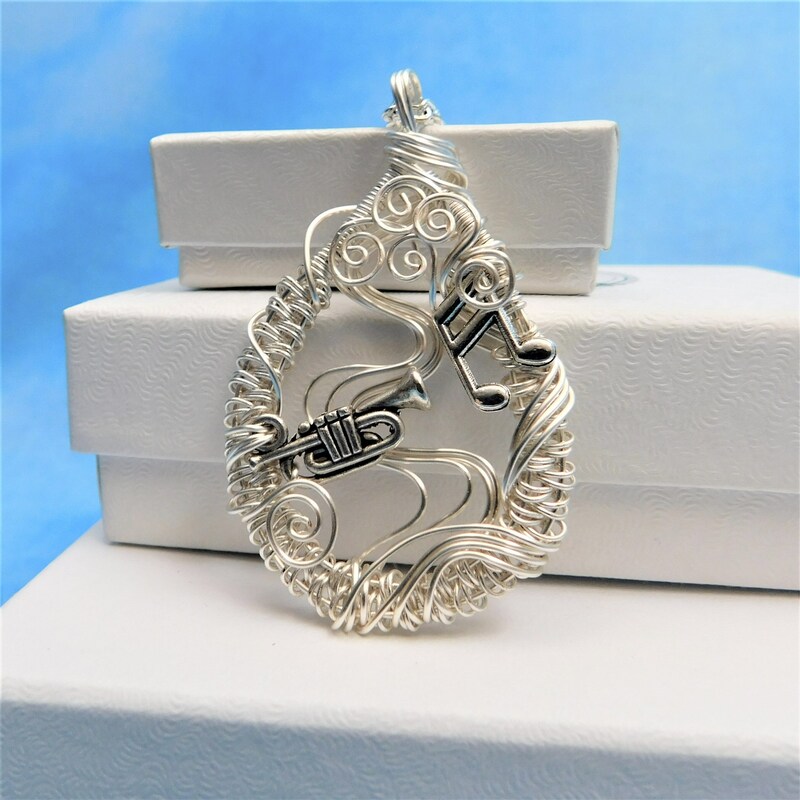 Eighth notes embellish the frame and creates a pendant that makes beautiful music. 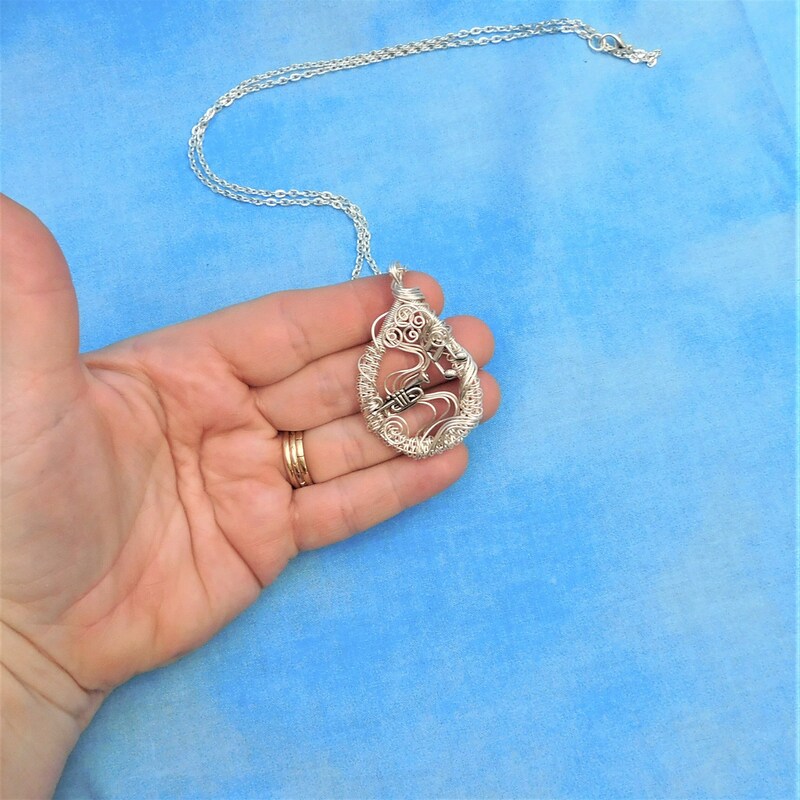 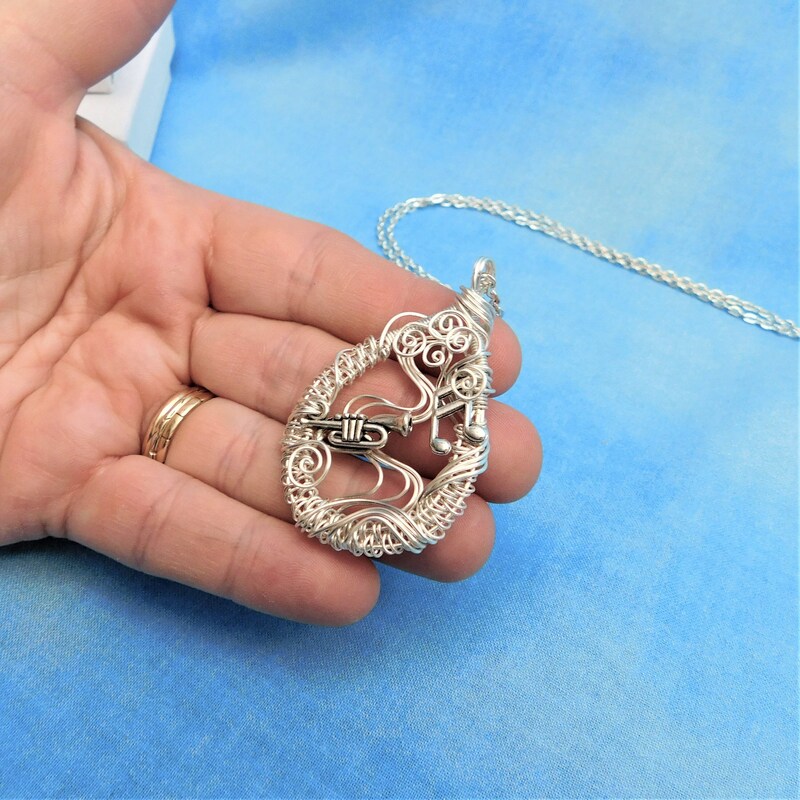 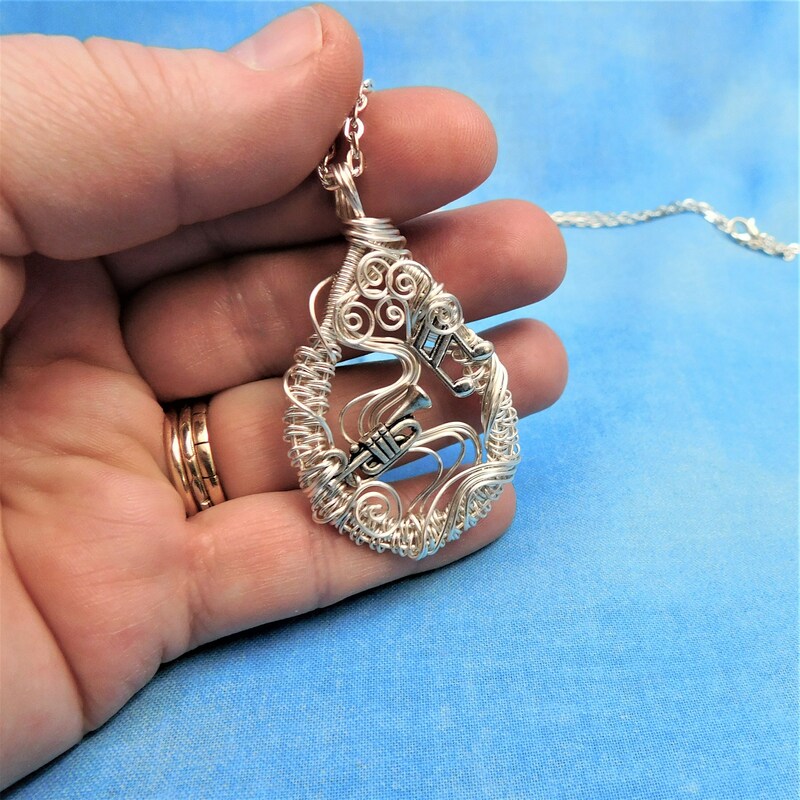 This pendant comes with a FREE coordinating chain with lobster claw clasp, measured to your preferred length.